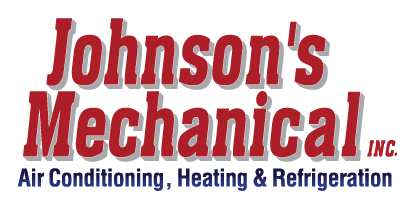 Commercial Air Conditioning, Lakeland, FL | Johnson's Mechanical Inc. Commercial Air Conditioning, Lakeland, FL | Johnson's Mechanical Inc.
We firmly believe you will see the difference when you choose our company for your commercial air conditioning needs in Lakeland, FL. Do you need a company with the right experience to help with your commercial air conditioning system? Has your commercial HVAC system been giving you problems, and you need repairs or recommendations for replacement? When you need commercial air conditioning services, our team at Johnson’s Mechanical Inc. can assist you with all your needs. Commercial air conditioning can seem like a big undertaking, especially when your system doesn’t seem to be working properly or you need to replace it. Luckily, our team at Johnson’s Mechanical Inc. has been providing residential and commercial air conditioning services since 1982. We can assist you with repairs or selecting and installing a new unit. Whether you need minor or major repairs, or you have chosen a new unit, we are equipped to help your business with all its commercial air conditioning needs. We are licensed and insured and pride ourselves on honesty and integrity. We’ll give you our honest assessment and help you determine the next steps. We can even provide recommendations for the unit that will best meet your needs and budget when you need to purchase something new. We firmly believe you will see the difference when you choose our company for your Lakeland, FL commercial air conditioning needs. We provide 24-hour emergency service 7 days a week, and we service all HVAC systems regardless of where you purchased your unit. With our experience and expertise, you won’t need to call anyone else. Contact us today to learn more about our commercial air conditioning services.